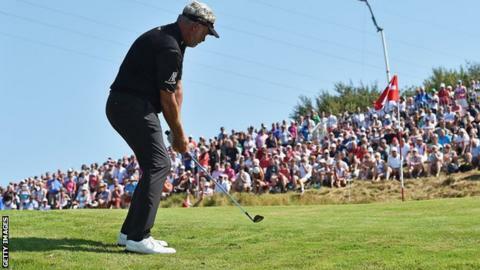 Darren Clarke remains nine shots behind leader David Horsey at the Made in Denmark event after firing a three-under-par 68 in Saturday's third round. The former Open champion from Dungannon carded an eagle to go with two birdies and a bogey to finish on six under for the tournament in Farso. Belfast player Michael Hoey (69) is two under while Peter Lawrie (70) is the best of the Irish on eight under. Kevin Phelan (70) is three under and Simon Thornton (75) one over.